Evolution Gaming proves live casino games are still hot. Live dealer casino games have been around since 2003. It took some years for technology to catch up to their capabilities, delivering a high-quality product players could appreciate, but if there’s any one company that can take credit for it, it’s Evolution Gaming. Once they came along, live casinos became all the rage. That was more than 10 years ago. Have digital gamers finally burned out on the live dealer realm? Apparently not. In fact, Evolution Gaming‘s performance over the last 12 months proves that the live gaming vertical is hot as ever. At least, that’s the perception we got last week when Evolution won yet another prestigious trophy at the Global Gaming Awards. Founded in 2006, Evolution Gaming quickly became known for two things; having the top live casino product in the world, and the most impressive trophy case to back it up. 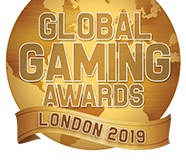 This year’s Global Gaming Awards ceremony, held at the Hippodrome Casino in London on February 4, has taught us something new about Evolution and the industry as a whole. Live online casinos are now the ‘norm’. Taking home the Online Casino Supplier of the Year award is a tremendous accomplishment for the group. For more than two decade, the term ‘online casino‘ was a general classification for RNG-based games. When referring to live video broadcasts of real dealer tables, the term ‘live casino‘ was applied. The fact that Evolution—the leading live casino supplier for the last decade—with a trophy case to prove it—took home the award for the best 2019 ‘Online Casino Supplier‘ speaks volumes. 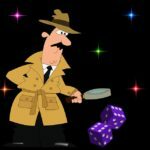 Not only does it point to exponential growth in the popularity of live dealer games, it gives credit to the company for its expansion into the RNG-based gaming market. As of last year, Evolution now offers a small assortment of RNG-based casino games, but nowhere near enough to be worthy of a ‘online casino’ award, by the traditional meaning of the term. It’s worth noting that Evolution’s 3-day foray at ICE Totally Gaming, which kicked off at the Excel in London the very next morning, saw the company launch 10 new gaming titles, including 8 new live casino games and 2 new RNG-based titles, which they refer to as ‘First Person‘ games; First Person Dream Catcher and First Person Lightning Roulette. Carlesund was especially proud to accept such a prestigious award on the eve of ICE, precluding the company’s exciting revelation of 10 new gaming titles. 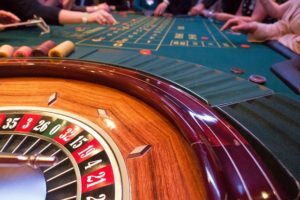 “We are continually pushing to enrich our offering and provide our operators and their players the next generation of Live Casino games,” he concluded. Live casino table games launch at Toronto’s Casino Woodbine. Canada’s land-based gambling industry has been thriving for decades. Several major casinos from British Columbia to Nova Scotia deliver the same great gaming experience you’d expect to find in a Las Vegas casino. But all this time, the great city of Toronto, Ontario—the largest city in Canada—has been lacking. The Greater Toronto Area (GTA) is home to three popular OLG Slots destinations. They include the Casino at Woodbine Racetrack, on the outskirts of Northwest Toronto; Casino Ajax, about 50km east of Downtown Toronto in Ajax, ON; and Great Blue Heron Casino, nearly 100km northeast of Toronto. For nearly two decades, this was the closest you’d find to a genuine casino experience in GTA, and it was a long drive to Casino Niagara for anything better. That finally changed earlier this month when, upon approval from the Ontario Lottery and Gaming Corp (OLG), Casino Woodbine was authorized to install the city’s very first live table games. One Toronto Gaming (OTG), subdivision of Great Canadian Gaming and operator of Casino Woodbine, went all out for the launch of Toronto’s first live dealer casino games. Not only have they opened 50 tables with live dealers, they’ve also installed 200+ electronic table games and a ‘stadium’ gaming format that can accommodate 100+ players. As previously stated, OTG went all out for the launch of the first casino table games in Toronto, and they’re not done yet. According to reports, an additional 50 live tables are coming to the casino floor sometime in Q4 2018. Another 300 slot machines are also on the list for installment, bringing the casino’s total to 3,000 slots. Just over two weeks into the new live casino table games, the response has been very positive from players. They’re getting a lot of action, with most agreeing it’s a necessary change that’s “finally” come to pass. The one thing Woodbine is still lacking, as several players were quick to point out, is a live poker room. Woodbine previously hosted electronic poker tables, but they were removed in January 2018. There seems to be a strong push from the community to bring poker back to Toronto with live tables. So far, there’s been no comment from Woodbine on that subject. Canada online games host collects bevy of 2018 gambling industry awards. The most famous online gaming group in Canada, The Stars Group (formerly Amaya), showed off its superiority last week in London. The ICE Totally Gaming conference attracts anyone and everyone with a vested interest in the land-based and online gambling industry. 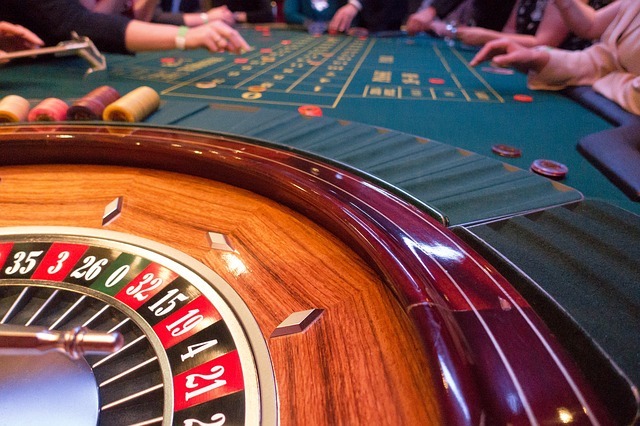 It also sets the scene for a trio of major gambling industry awards. The Stars Group outshines the competition in 2018, collecting a total of 5 awards, plus 3 spots on the GIA’s Hot 50. The parent company of PokerStars, it’s little surprise that the company continues to collect trophies. But this year’s categories weren’t all typical takings for the Canadian gaming firm. PokerStars earned the GGA Poker Operator of the Year Award, swiping the honor back from 2017 winner, PartyPoker. It was a celebratory moment for the company, but nothing out of the ordinary. The company also took home the IGA award for 2018 Gaming Operator of the Year – Americas. 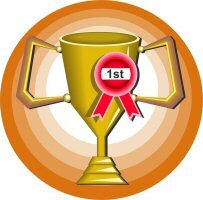 That honor was bestowed upon Stars Group for its PokerStars NJ (New Jersey) platform. Again, a great honor, but no big surprise. For more than a decade, PokerStars has been the top online poker room in the industry, by leaps and bounds. 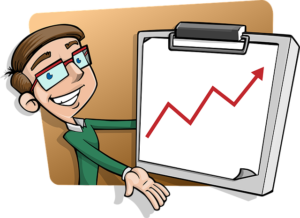 When the operator entered the online casino vertical a few years back, it was a slow start. Now, PokerStars Casino isn’t just a viable operation, but a proven, award-worthy entity. The Stars Group has taken great strides to increase the viability of its casino offering. The company now employs a throng of the industry’s most respected software brands, including Microgaming, NetEnt, NextGen, PlayTech, and many others, with Evolution Gaming‘s elite Live Casino in the mix. The icing on the cake this year is Stars Group’s recognition for best Operator Innovation. This category is among the most diverse, as any new concept is worthy of notice. This year, the GIA judges felt the company’s new Stars Rewards customer loyalty program was the most notable innovation of all. “I am proud to see the industry recognition of our company and particularly for our Stars Rewards customer loyalty program which we just launched last July,” said Stars Group CEO Rafi Ashkenazi. The Gaming Intelligence Awards go one step further than most ceremonies, honoring the managerial staff members who work so hard to for each gaming company. This year, the Canada online games development firm saw three of their esteemed colleagues make the list. 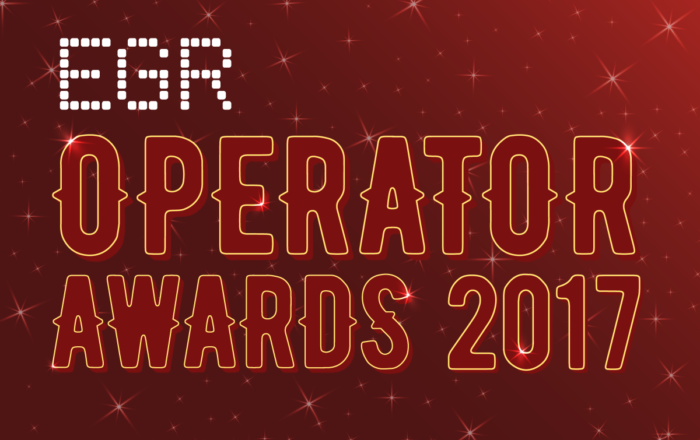 A glance at the best online casinos of 2017, shortlisted for this years eGR Operator Awards. Every year since 2010, eGaming Review has held its annual eGR Operator Awards ceremony. 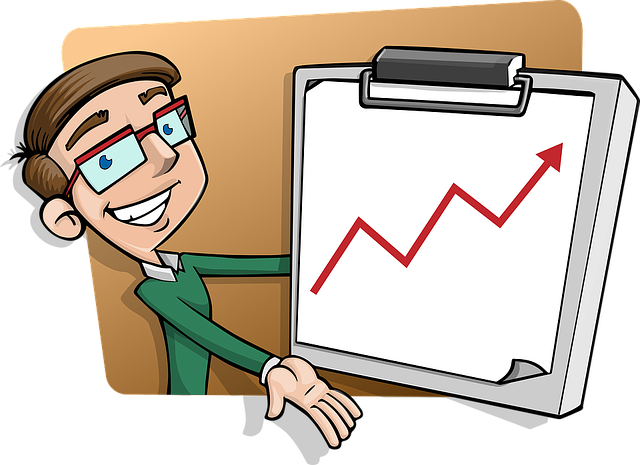 It’s become the industry’s identifying pinnacle of success. To win such a prestigious award shows phenomenal merit, while appearing on the shortlist of nominations is an immense honor in itself. 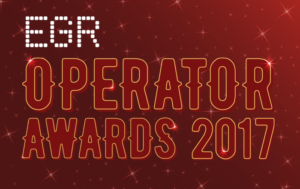 Last week, eGR released its shortlist for the upcoming 2017 eGR Operator Awards. Billed as the “Oscars of the egaming sector”, these go out to the companies that operate the best internet casinos, poker rooms, sportsbooks, bingo sites, etc. It does not include the software companies that supply the games – only the operators of the websites where players enjoy them. As players, this is a great opportunity to discover the best online casinos of 2017, long before the awards ceremony takes place at London’s Grosvenor House on October 26. Without further ado, we’ll take a look at those who made the shortlist for one of the most prestigious awards of them all, Casino Operator of the Year. Below is the complete list of shortlisted operators for this year’s award, followed by a brief description. Note that they are in alphabetical order – no preference suggested. 888Casino is one of the oldest operators in the online gambling business, originally launched by 888 Holdings in 1997 as Casino-On-Net. 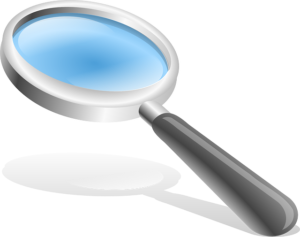 This company has appeared multiple times on the eGR shortlist, and has taken home two awards in the past. These include 2013 Operator of the Year and 2013 Poker Operator of the Year. GVC Holdings is a major operator in the egaming space, responsible for a large quantity of top online gambling websites. 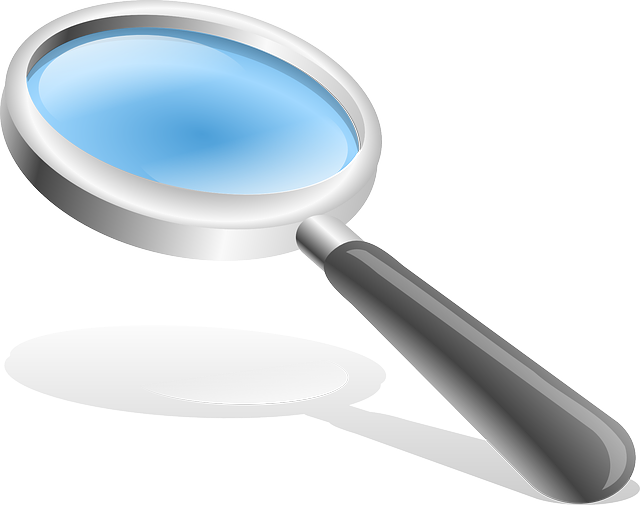 GVC operates big names like bwin, Sportingbet, CasinoClub, partycaino, partypoker, Foxy Bingo and more. If the name Kindred doesn’t ring a bell, you may remember this operator as Unibet Group Plc. Following a strategic focus on acquisitions, the company changed its name in December 2016. As of now, Kindred Group operates 13 brands, including Unibet, Stan James, 32Red, Roxy Palace and others. The company made out very well at the 2016 eGR Operator Awards, bestowed with the three titles: Best Marketing Campaign, Best Socially Responsible Operator, and the highest honor of all, 2016 Operator of the Year. LeoVegas was launched in 2011 with one single goal in mind—to become the world’s #1 mobile casino provider. They’ve done a pretty good job of it so far, having taken home industry awards every year since 2013; nine of them in all. They includes eGR’s 2014 Best Mobile Product of the Year. Mr Green is one of he most decorated online casino suppliers in the business. Since launching in 2008, the company has been awarded 20 times already, including 7 from eGR, and 7 more from IGA (International Gaming Awards). Mr Green is known for its social responsibility, and for pioneering the employment of multiple software brands. No list would be complete without PokerStars, the long-time leader in online poker operation. PokerStars Casino came along in 2016 with the integration of NetEnt software, expanding again in 2017 with Microgaming‘s Quickfire platform. PokerStars is a common name on eGR shortlists, but this is their first appearance on the Casino Operator of the Year shortlist. Sky is one of the most recognized online gambling brands in the UK, operating Sky Bet, Sky Casino, Sky Vegas, Sky Poker, and Sky Bingo. Another regular at the eGR awards, Sky took home three trophies in 2016 for Best Bingo, Sports and Mobile products. Originally established in 1934 as a land-based bookie in the UK, William Hill spread its wings into the online realm and never looked back. The company hosts all varieties of internet gambling, collecting the eGR Best Online Casino Operator, Slots Operator, and Operator of the Year awards in 2014. Happy 20th Anniversary to 888 Online Casino! Two decades (and one rebranding) later, 888 Casino celebrates 20 years! Take a step back in time to 1997. Times were much different back then. Mexico repaid a $12.5 billion loan ahead of time. The US economy was deemed ‘strong‘. 68 nations actually agreed on something at a Geneva conference. O.J. Simpson lost his court trial (the civil suit, not the criminal one). The European Union banned Turkey from membership. And a 63 year old woman gave birth – successfully! Yes, it was quite a year. Russia’s Mir space station was repaired, damaged, and repaired again. The US landed a rover on Mars. And Nevada stripped Mike Tyson of his boxing license, fining him $3 million for biting off a chunk of Evander Holyfield’s ear during a heavyweight title fight. These were all memorable moments in 1997. What you won’t remember in those days were things like smartphones—still 10 years in the making. Social media didn’t exist. Amazon and Google were but twinkles in the eyes of their beholders. There was one thing going on that would change the gambling world forever. The online casino industry was being born. And among its founders was a little-known company called Casino-On-Net. You may not recognize that name, but you’ve probably heard of them by their current title, 888 Casino. The 888 casino brand was the brain child of two pairs of Israeli brothers, Aaron and Avi Shaked, and their partners Ron and Shay Ben-Yitzhaq, who established Virtual Holdings earlier that same year. As the story goes, Aaron Shaked had an epiphany while attending a dentistry conference, and decided to fund an online casino operation. They called it Casino-On-Net, and operated the business out of Antigua. Following the turn of the millennium, the company founded several more online gambling websites and moved its base operations to Gibraltar. Among the new domains was 888 Poker, which saw almost instant success and would go on to be the catalyst for further 888 branding. Casino-On-Net became 888 Casino, and the company branched out into other iGaming venues with 888 Bingo, 888 Sports. and 888 Games. In 2005, 888.com gained ultimate recognition as the ‘Best Casino Operator of the Year‘, and ‘Best Overall Online Gaming Operator‘. The internet gambling giant has won multiple awards since, including its latest honors as the ‘Best Digital Operator of the Year‘ at the 2016 Global Gaming Awards in Las Vegas. Roll the clock forward, and the 888 online casino brand is one of today’s most popular operators, especially in Canada and parts of Europe. It’s the most prominent operator in the heavily restricted US market, operating in all three states where internet gambling is regulated (Delaware, Nevada and New Jersey). The stale software and stagnant game variety of old has been replaced with graphically-rich, HD-quality gambling for all users, on desktop and mobile. 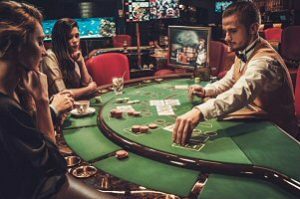 Live casino games are now on the menu, giving players the most realistic at-home (or on the go) casino gaming experience ever witnessed. Celebrating a 20th anniversary is always a momentous occasion. But when the industry you serve is only two decades in the making, that’s something extra special. Happy 20th anniversary to one of the iGaming world’s founding fathers, 888 Casino. Here’s to another 20 years of pioneering success! Parq Vancouver Casino Resort, opening Fall 2017, elevating the bar for Canada’s integrated resorts. The Autumn months are just around the corner, and that means visitors to downtown Vancouver will soon have a new playground to romp. I’m referring to the Parq Vancouver Casino Hotel Resort, scheduled to open this fall. In the works since mid-2015, the team behind the upcoming Canadian casino project has one clear goal in mind. They are determined to raise the bar for integrated resorts in Canada, and beyond. How do you evolve a key industry into something new, revolutionary and ultimately appealing? They’re doing it through innovative design and boutique-style offerings, minimizing the gaming aspect while focusing on the delivery of today’s most attractive amenities. It’s a concept that’s recently worked wonders in major gambling destinations like Las Vegas and Macau. The company behind the project, Paragon Gaming, has been specializing in the Canadian market for the last decade. It also has deep roots in Las Vegas, giving them insight to the most modern efficiencies in successful resort properties. Scott Menke, the co-founder and CEO of Paragon Gaming, is especially proud of what they’ve developed in British Columbia. The Parq Vancouver casino will be the first in the downtown area. Menke believes the property’s vast amenities and luxurious design, combined with the city’s diverse culture, will draw countless visitors. The company heads were very careful when selecting the location for the property. It’s purposefully situated next to BC Place Stadium and Rogers Arena, which host popular sporting teams like the Vancouver Canucks, Vancouver Whitecaps FC and BC Lions, as well as numerous live concerts and other special events. This mimics the synergy casino tycoons are attempting to create between gaming and major league athletics in Las Vegas with the new T-Mobile Arena and Las Vegas Stadium, home of Nevada’s first NFL team, the Las Vegas Raiders. The Parq Vancouver Casino Hotel is also mimicking the sleek, boutique-style arrangement that’s been so successful in Macau. The sky-scraping facade, clad entirely in reflective glass, dips low in the middle to form a U-shape. This presents a unique, recognizable design, and also separates the property’s dual hotels. On one side is the JW Marriot Parq Vancouver, the first of that brand in Western Canada. The other side belongs to the first Autograph Collection hotel in the region, The DOUGLAS, named for B.C.’s abundance of beautiful Douglas firs. 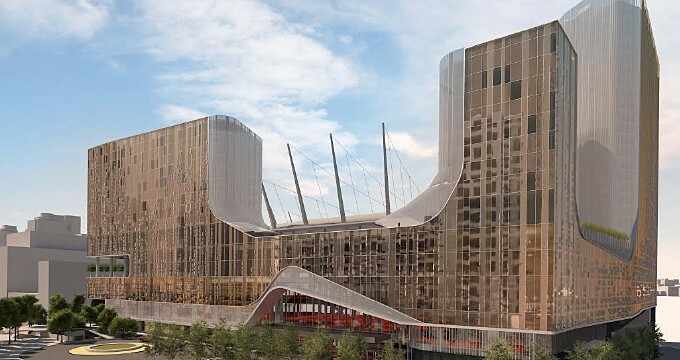 Besides the Vancouver casino and 517 luxury guest rooms and suites, the property will also feature five restaurants, and a trio of bars and lounges. These amenities are specially designed by Blau + Associates, direct from Las Vegas, which puts great emphasis on the use of regional ingredients and culinary tastes. Another 60,000sq.ft. Of space is devoted to meeting and event space, and the largest hotel ballroom in the city. Deviating from the past gambling-centric design, into a more modern integrated resort structure, has proven successful already. Singapore’s Marina Bay Sands (by Las Vegas Sands Corp) and Maryland’s MGM National Harbor are perfect examples. With the grand opening of the Parq Vancouver Casino Hotel just around the corner, Menke’s enthusiasm is at an all-ime time. “We want to bring the Las Vegas sense of community to Vancouver. We understand that to be successful, we have to be respectful to the environment and community we are building in” he said.